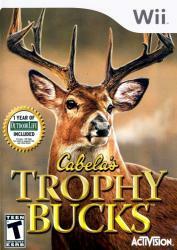 Experience fast paced hunting action in pursuit of record trophy bucks across 24 states and provinces in North America. Gameplay starts at the most critical and exciting parts of each hunting mission where you are immediately presented with a challenge. Paired with incredibly realistic gameplay and North America's most popular deer, waterfowl, upland birds, small game and varmint species, you will be able to hunt for animals and in places that most hunters could only dream of experiencing in a lifetime. Your well honed hunting instinct, keen oberservation and quick decision making will be essential in your quest to become the ultimate North American hunter!